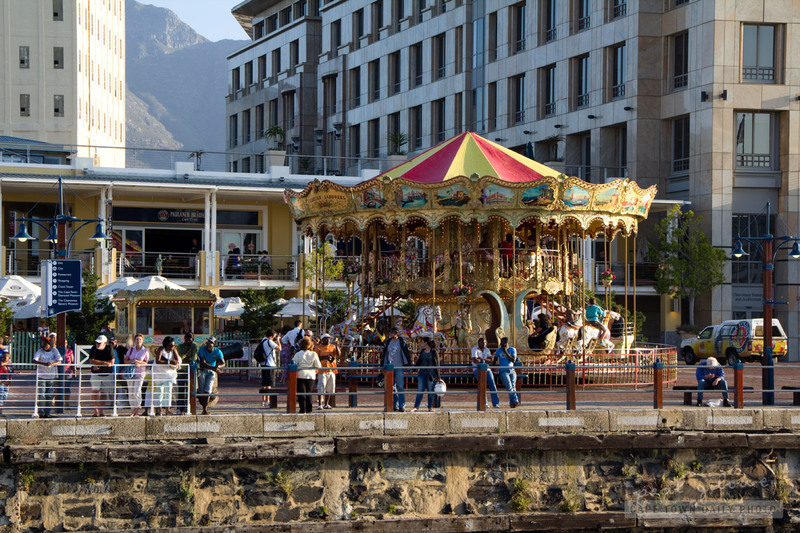 This little carousel has been at the V&A Waterfront (near the Clock Tower) since just before Christmas day and will be sticking around for a few more days, until 17 January. While the carousel looks awesome, we were very disappointed that it lacked that typical carousel music - well, it lacked music completely! Who would operate a carousel without music?! 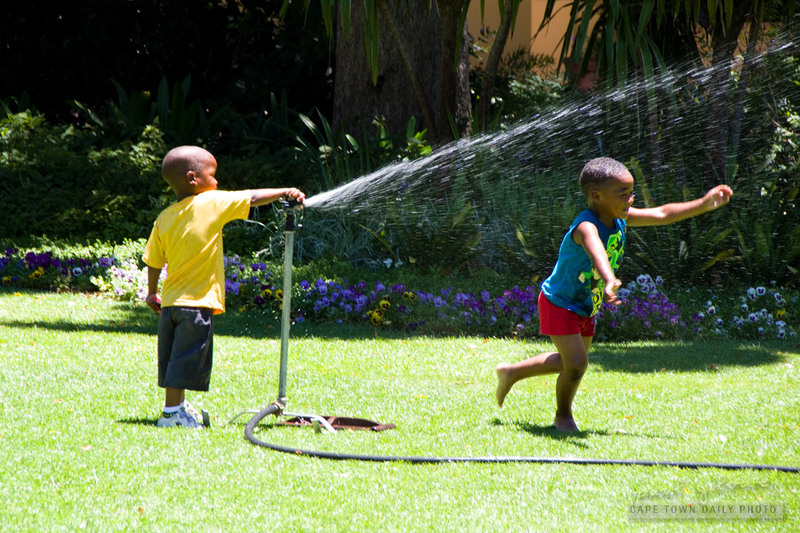 Posted in Activities and tagged fun, v&a waterfront on Wednesday, 11 January, 2012 by Paul. 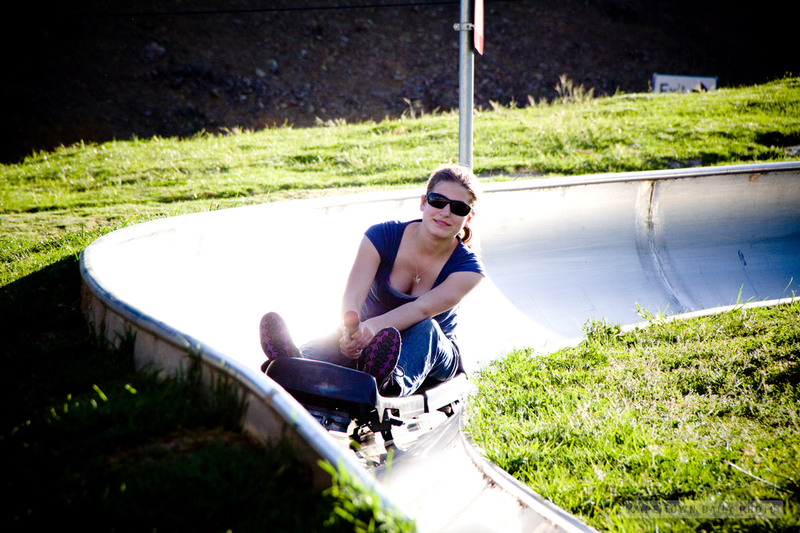 If you haven't been tobogganing at Cool Runnings in Tyger Valley yet then you're missing out on a whole lot of fun. And, don't be fooled, even though it's dominated by kids it's certainly not for kids only - there were several older "kids" getting their piece of the action while we were there. One tip - if you're not keen in queuing to catch your car, then it's best to either go early (when they open at 11am in the week and 9am on the weekend) or about an hour before closing time, which is 6pm. Posted in Activities and tagged fun on Sunday, 30 October, 2011 by Paul. 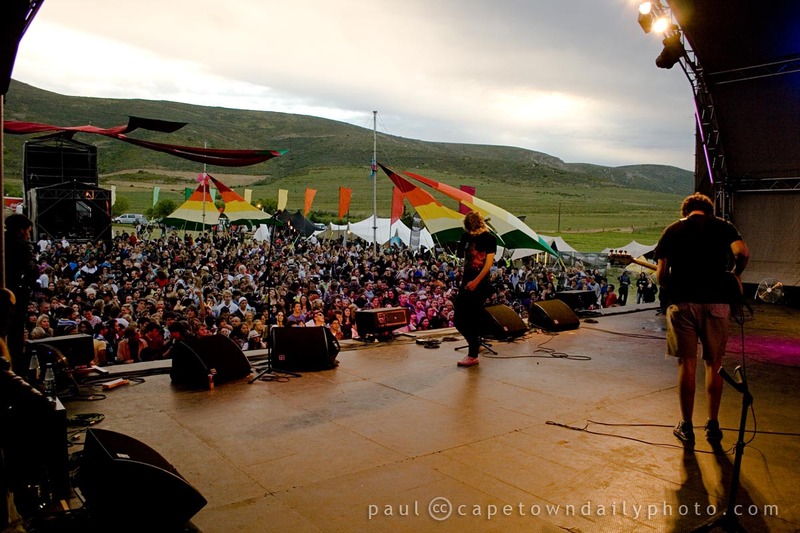 A while back we signed up to attend the MP3 Experiment event in Camps Bay. The idea was that everyone attending the event was to download an MP3 audio file that they weren't allowed to listen to before the event. 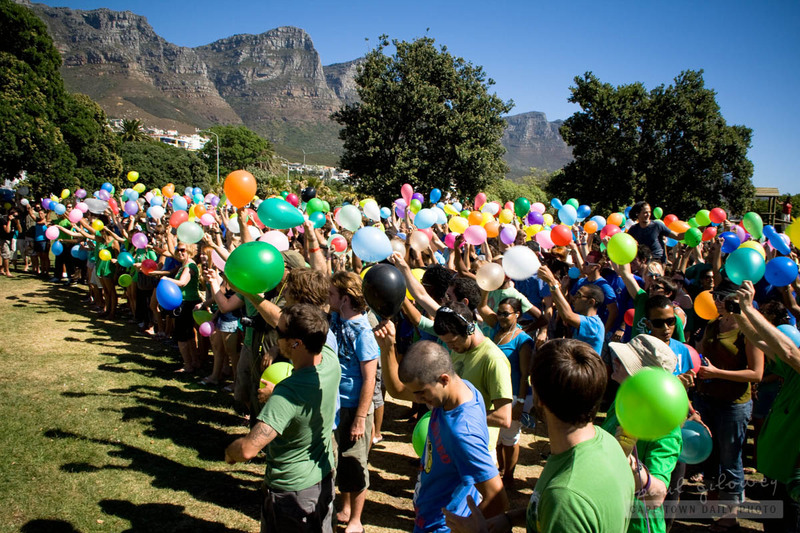 At precisely 15h00 everyone gathered at the specific spot in Camps Bay was to start playing the MP3 - obeying every instruction given by the "omnipotent Steve". For over an hour we stretched, waved, walked about, played tag, made a human dart board, and engaged in "The Epic Battle"... all under instruction of the voice in our MP3 players. If this sounds a little weird (and I'm sure it does), take a moment to see our photo album and watch the event unfolding to the voice of the "omnipotent Steve", being careful not to miss the Epic Battle. Posted in General and tagged fun on Saturday, 26 February, 2011 by Paul. I remember posting a photo of a Jungle Gym late last year. 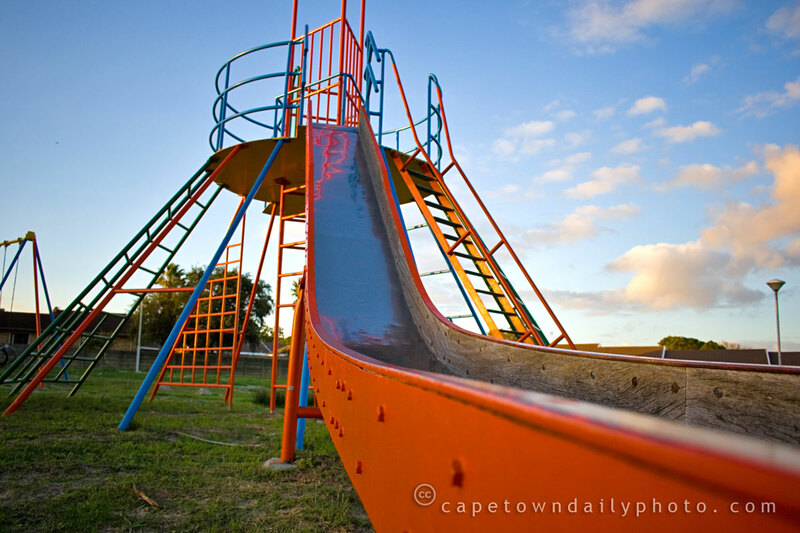 At the time one of our readers from the USA commented on the fact that they used to have metal and wooden Jungle Gyms too, but that these had been replaced with plastic ones as it was believed that the others were a health hazard. Another reader commented that he had once damaged his windpipe on one. However, the common thread running throughout the comments was that Jungle Gyms are fun! So naturally I was excited to spot this hybrid of a Jungle Gym crossed with a slide. I came to a screeching halt when I noticed it on my way home from work - to get a few photos of course. 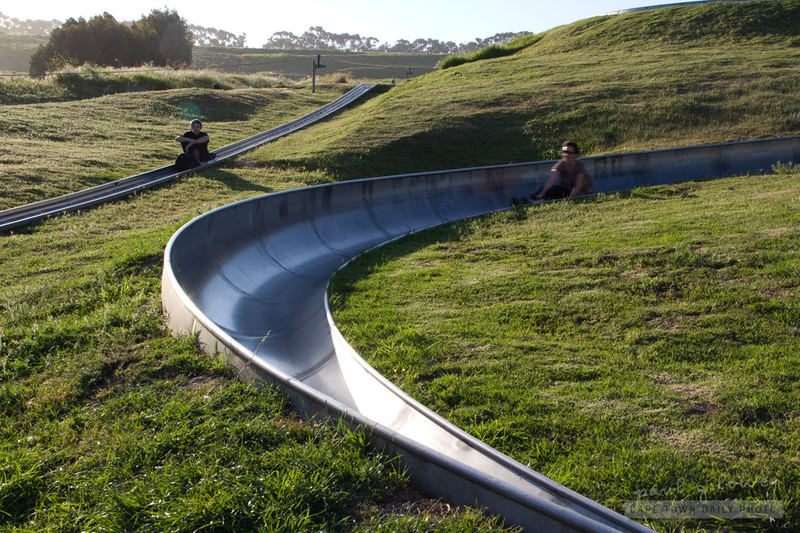 The awesome thing that I discovered about this slide is that it was made with kids like me in mind. 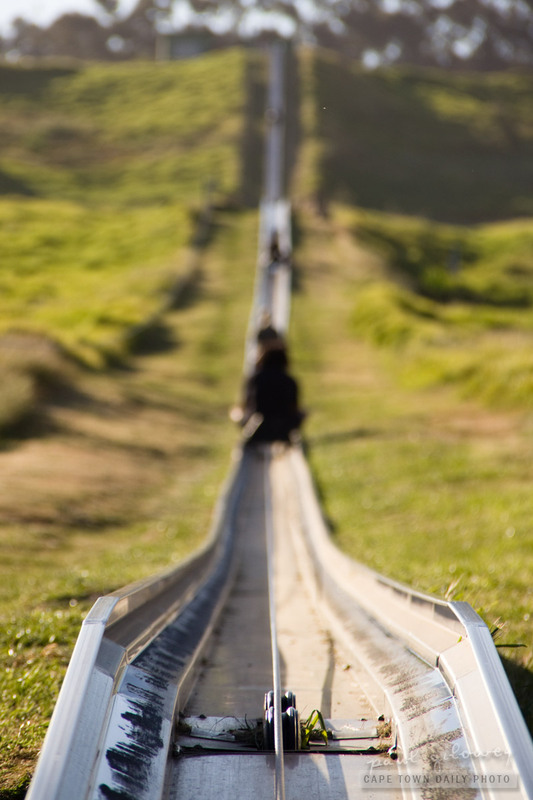 It's big enough that it doesn't make me feel like a giant - not only the stairs and the landing spot at the top, but also the slide itself. 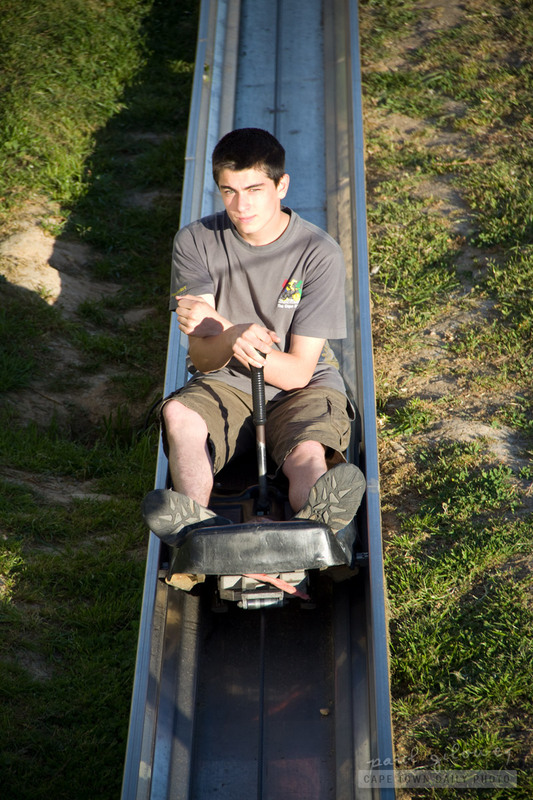 After taking a few photos from the top, I tested the slide.... and by Jove, I fitted! 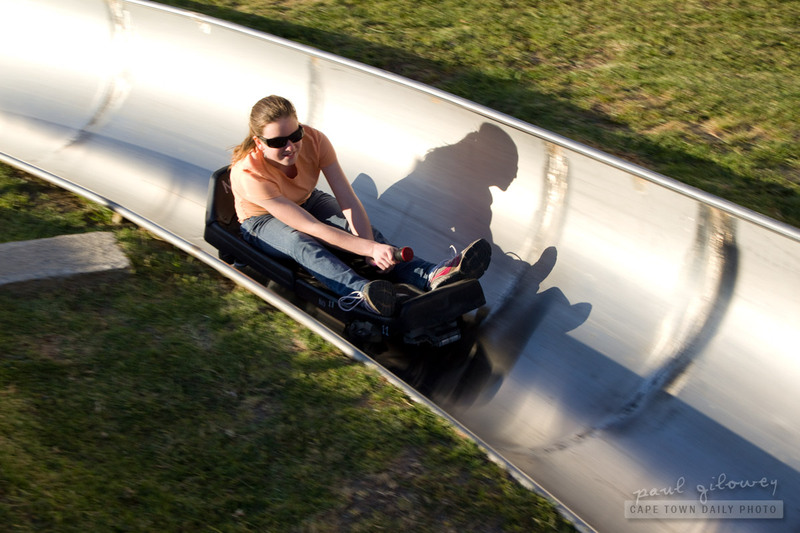 It wasn't one of those annoying plastic slides, it was genuine stainless steel, and was wide enough that the sides didn't act as brakes to slow my descent! It was phenomenal! (And I guess that after reading this Kerry-Anne will want to be taken there to try it out :) ). Posted in Activities and tagged fun, leisure on Monday, 25 May, 2009 by Paul.